These are taken from the pages of the Heraldry Gazette, and comprise figures without whom heraldry in the British Isles would have been diminished. Most, but not all, were recognised with the Fellowship or Honorary Fellowship of the Society. As a whole, they provide an interesting window on the social history of the Society. They are arranged alphabetically. John Brooke-Little died on Monday 13th February 2006 aged 78. It is with deep regret and a profound sense of loss that we announce the demise of our President. It was John Brooke-Little who from starting a society for heraldry while at Oxford went on to found the Society of Heraldic Antiquaries in 1947, transforming it into the much respected Heraldry Society. He was editor in chief of The Coat of Arms from its beginning in 1952, a brilliant lecturer and raconteur, and author of many authoritative books and articles. His career led him into the Royal Household and he retired as Clarenceux King of Arms in 1997. In 1947, an advertisement appeared in Boys’ Own Paper and elsewhere. A memorable meeting was held at The Interval Club, up stairs of a terrace house in Greek Street, Soho. I was in the regulation Sunday suit that we wore at school, stiff collar and heraldic tie of the school. A well-dressed young gentleman with round steel rimmed glasses and bow tie, already showing signs of the baroque figure he was to become, and the beginnings of a balding pate, introduced himself as John Brooke-Little. Two ladies, and some learned looking elders were there to support him. They had great ideas for the future of the hobby that I had begun more than a dozen years before. These led to the creation of The Society of Heraldic Antiquaries to which I paid my first year’s subscription. Copies of a cyclostyled newsletter, The Escutcheon, appeared spasmodically and in a variety of sizes, edited by Mr Brooke-Little. The Escutcheon graduated from Gestetner to print and disappeared for a while to be replaced by The Heraldry Gazette. In 1950, John also launched the society’s journal, The Coat of Arms and was its Editor in Chief for more than 40 years. In the early years his mother, Constance Egan, was both secretary of the society and editor of the journal. On visits to our home she would read her own Epaminondas stories to our children. One could discern the source of John’s quick wit and sense of merriment, his deep faith and literary abilities. Indeed, one was soon to recognise what an amusing turn of mind he had. A humorous and captivating personality, John was an entertaining and erudite lecturer and evidently did much through his talks and tours and his skills as a raconteur to promote the expanding interest in heraldry throughout the world. He was responsible for launching several heraldic congresses that were signal successes due in large measure to his management of his team of collaborators. Like our mutual friend, Wilfrid Scott-Giles, John popularised a subject otherwise regarded as the study of fools with long memories. Wilfrid and John became the “Tweedle Dum and Tweedle Dee” of the world of heraldry, John also succeeding Wilfrid with editing several editions of Boutell’s Heraldry, that became a standard work of reference on heraldic practice among armorists and the heralds themselves. He also edited Fox Davies’s Complete Guide to Heraldry written in 1909, along with many other books and articles on genealogy and heraldry. When the idea of a school for family history studies was born in 1957, John’s signature joined those of the founders who signed the concord on a large piece of heraldically decorated wallpaper, as suggested by our great personal friend the late Sir Colin Cole, quondam Garter King of Arms. As one of the first and a much-appreciated member of the Court of Trustees of the Institute of Heraldic and Genealogical Studies in 1961, the contributions of John Brooke-Little will be sorely missed. He accepted the role of a Vice-President when poor health compelled him to resign in 2004. He proved to be a counsellor of the most remarkable loyalty, a diplomatic advisor, and, inevitably an innovator of good ideas for the progress of education in our field of study. Though once he had enjoyed riding a motor scooter, John was not enthusiastic about driving, but enjoyed travelling by train. Apologising sometimes for lateness in arriving at meetings after we reached Canterbury in 1961, he did not complain that the train had been diverted via Ashford or Sheppey. He told us that he enjoyed the sound of the wheels and if in his alternative life he had not become a priest, he might well have chosen to become an engine driver, preferably with steam. Apart from being known as JBL, it was at El Vino’s in the Strand over glasses of Burgundy, Claret or post-prandial Port, with the aid of Gerald Henderson sometime Librarian at St Paul’s Cathedral, helped by Colin Cole and the journalist, James Moran, that on his appointment to the office of Bluemantle Pursuivant, we christened him “Bluebottle”. That was a name that persisted beyond his promotion to Richmond Herald in 1967. Much of the progress of the Heraldry Society was planned in advance of formal meetings of Council in that hostelry under the watchful eye of the jovial Frank Bower. A chair emblazoned with the arms of the Society, now sadly worn away, was donated to the back room of El Vino’s. Apart from El Vino’s, cognoscenti among the heralds and armorists were also lured into “Winnie’s” at No. 10, Fetter Lane, off the Fleet, and of course, to “The Horn” behind The College of Arms, the one since demolished and the latter since suffering from a face lift and a change of name; but in both, business of The Heraldry Society spun apace. John Philip Brooke Brooke-Little, was born 6th April 1927, son of the late Raymond Brooke-Little and the children’s author, Constance Egan. He married in 1960, Mary Lee, only child of the late John Raymond Pierce, and had three sons and a daughter. Educated at Beaumont House in the Oratory School, Clayesmore School and New College, Oxford, after a short term on National Service in Yorkshire, and while teaching for a short time at a preparatory school, he joined the Earl Marshal’s staff in 1952/3. He was a Gold Staff Officer for the Coronation in 1953, being appointed Bluemantle Pursuivant of Arms in 1956. In the previous year he attended the International Congress of Heraldry and Genealogy in Madrid where he received accolades for his foundation in England. This inspired him to promote congresses of The Heraldry Society. He attended the 5th International Congress in Brussels in 1958, on which occasion he drew heraldic and other designs in cartoon fashion on Alice’s ( Humphery-Smith’s ) napkin as well as caricatures on the table-cloth, while merrily humming. When, as he was wont, he nodded off at the table over an unfinished meal, I confess that we left him to his slumbers and found our way back to the residence, being greeted cheerfully with some apt remark about the power of Belgian fare before the first lecture on the following morning. From his own wide experience, he was particularly helpful to me when organising the International Congress in England in 1976. Unfortunately there was no answer to the rampaging inflation of those years. Although he did have some financial support from an ancient aunt, John was quick to make a success of his practice as Bluemantle, and, in 1967, he was advanced to the office of Richmond Herald that had lain vacant for nearly six years. He was specially involved with the late Rodney Dennis, Somerset Herald, in arrangements for the state funeral of Sir Winston Churchill, and with Sir Anthony Wagner and the Heralds’ Museum. He became Registrar of The College of Arms in 1974, and was appointed Norroy and Ulster King of Arms. He was particularly pleased because this led, as he often pointed out, to his appointment as, successively King of Arms, Registrar and Knight Attendant on the most Illustrious Order of St Patrick from 1980-1995. He served as Librarian of the College from 1974-1994, Treasurer from 1978¬1995 and as Clarenceux King of Arms 1995-1997. He was saddened that his predecessor had insisted on retaining his office for life while John’s was one of the first appointments to be limited to retirement at the age of 70. Many a herald survived into his 80’s and beyond. As prospective bride and groom, John and Mary had arrived at home to announce their intentions just as Alice excused herself to give birth to a son, who joined The Heraldry Society before he was aware of it. John entertained us with some of his extraordinary and sometimes hilarious anecdotes as we awaited the announcement of gender. Aubrey Toppin, John’s predecessor both as Bluemantle and as Norroy was not far short of 80 when he danced in the courtyard of the College of Arms with our eldest daughter, Susan, who was one of Mary’s bride’s maids when John married Mary Lee in 1960. To Mary, Clare, Philip, Leo, Merlin and the family, we offer the heartfelt condolences of the membership of the Society that may probably be regarded as John’s second love. Cecil R.J. Humphery-Smith HG June 2006. Brevity may be a virtue and much may be said in a brief statement, but Colin Campbell’s entry in Burke’s Landed Gentry simply states that he was the 9th of Inverneill, Argyll, born on the 30th December 1912, and a graduate of New College, Oxford. He was the brother of John Lorne Campbell, president of the Folklore Institute of Scotland and an eminent historian, who settled on the Isle of Canna. They were sons of the late Lt. Col. Duncan Campbell of Invernell, from a family that had a long association with Rugby School and Oxford. Little more is known of Colin Campbell, except that he had been involved with banking in New York. Ultimately he became something of a recluse, spending much of his time in heraldic and genealogical research and writing scholarly and critical essays on these subjects. The coat of arms of his limb were matriculated at Lyon Office in 1875, Gyronny of eight Or and Sable a bordure Azure, the shield placed in front of a lymphad sails furled and oars in action Sable flags and pennants flying. The crest was a Boar’s head erased Or and the motto Fit Via Vi. The Campbell property was at Inverneill and Ardrishaig in Argyll, but for many years Colin was contacted only through a post office box in Belmont Massachusetts. His mother had been Ethel, eldest daughter of John I. Waterbury of Morntown, New Jersey. John Lorne Campbell took Carma as his territorial title and his second brother Tearlach, died in 1932 leaving Colin as heir and eventually Campbell of Inverneill. Colin appears to have removed himself from public life after the death of his mother in 1967. He never married. He was honoured as an academician of l’Academie Internationale d’Heraldique. Colin never held a great library, but relied on his many correspondents to provide him with photocopies of the material he needed for his researches and replies. Colin Campbell had been a member of the committee on heraldry of the New England Historic Genealogical Society, an Honorary member of the Heraldry Society of Scotland, a Fellow of The Society of Antiquaries of Scotland and of The Heraldry Society of England and held seat No. 26 in the Academie. He died in November 1998 in New York. HG March 1999. Colin Cole enjoyed life to the full. A brass- rubber from school days and a member of the Monumental Brass Society, he joined with John Brooke-Little in founding The Oxford University Heraldic Society when at university after the Second World War. Colin was among the pioneers of The Society of Heraldic Antiquaries in 1947, serving on its Council, and continuing after it became The Heraldry Society. He was an enthusiastic supporter of the Society’s conferences, exhibitions and congresses for more than 40 years. He gave freely and generously of his time, wisdom and expertise to the Society and its members and, until his death, was an active Vice President. He was associated from its beginnings with The Institute of Heraldic and Genealogical Studies and was a Trustee (1964-1995). He enjoyed a leading role in several other national societies, including The Honourable Artillery Company in which he rose to the rank of Lieutenant-Colonel and, later, Honorary Colonel; The Royal Society of St George; the Manorial Society of Great Britain, the Special Constabulary of the City of London and Alleyn’s College of God’s Gift, Dulwich (his old school). A warmhearted and convivial companion, Sir Colin served Castle Baynard Ward in the City of London (from 1964), as Sheriff of the City (1976/77), and on the Courts and as Master of his three Livery Companies, Basket-makers, Scriveners and Painter Stainers. Alexander Colin Cole was born at Heme Hill, 16 May 1922. From Dulwich College, he went to Pembroke, Cambridge, interrupting his academic career to serve with the Coldstream Guards during the Second World War, eventually commissioned as a Captain. Returning to Brasenose College, Oxford, after the war, he read law and his friendships were established with Michael Maclagan at Trinity, John Brooke-Little at New College and others, including his wife, Valerie Card, who bore him twins (who died young) four sons and three daughters. Sadly, Valerie died in 1999. Colin Cole was called to the Bar in the Inner Temple in 1949 (he was later an Honorary Bencher) but four years later was appointed Fitzalan Pursuivant of Arms Extraordinary, in which office, in 1954, he appeared for the defendants, Manchester Palace of Varieties, in the famous case in the Court of Chivalry when the late George Squibb QC argued for Manchester Corporation before Lord Goddard as surrogate for the Earl Marshal. Appointed Portcullis Pursuivant of Arms in 1957 with precedence over Bluemantle (John Brooke-Little) Colin’s career as a professional herald began. He had worked hard carrying out research projects for the late Anthony Wagner who was then Richmond Herald. With Garter, Sir George Bellew, who shared the sense of fun of the young men, and John Bluemantle, the ‘Bullicorn Club’ was formed for some amusing dining evenings and heraldic excursions. In 1966, Colin was appointed Windsor Herald and developed an enviable practice. While continuing his predecessor’s genealogical interests, he became a prolific designer of new coats of arms. He worked hard and produced much scholarly material from his own researches, that he competently illustrated with his own pen. Much of his work appears in the pages of The Coat of Arms. He had an early association with the work on the New Papworth, completing very many slips, particularly from armorials of the Tudor period. From 1967-74, he was Registrar and Librarian of The College of Arms, and attempted to introduce some modern business practices. As Garter Principal King of Arms from 1978, Colin Cole did not attempt to emulate his predecessors and his ideas did not always meet with approval of his colleagues. He guided the Commonwealth into heraldic independence, encouraging Canada, South Africa, Zimbabwe, New Zealand and Australia to establish their own authorities, and he took a keen interest in attempts to introduce heraldic authority in Europe. He master-minded exhibitions to augment the vision of heraldry. In 1984, he promoted the fund-raising schemes that enabled the College of Arms to embark upon a massive renovation programme for its building in commemoration of the quincentenary of its foundation. Those who knew Colin Cole will each have tales of his exploits to tell. While for a few, he may be remembered as the soul of livery company and other dinners, and and a regular evening imbiber at El Vino’s wine bar in the Fleet, where heraldic matters were dealt with in depth over more than forty years, most will recall the good cheer, good heart, good spirit and good judgement of a heraldist who was as extraordinary as he was ordinary, and whose dynamic personality will be hard to match. The Society that Sir Colin loved and served so well will miss him greatly and conveys heartfelt condolences to his family and to the grandchildren whom he admired and adored. CONSTANCE MARIE EGAN (d.1975) HonFHS. Constance was born in 1890, the third and youngest daughter of the late Alfred Egan and Hermine his wife. She was educated at the Convent of Our Lady of Sion at Worthing. Shortly after she left school, her father having died some time before, leaving his family in what are known as ‘reduced circumstances’, she joined Northcliffe’s The Amalgamated Press, as a member of the staff of Home Chat. Her editor, the paper’s first, was Maude Bown, and from her she learned journalism. After the First World War she succeeded Miss Bown as editor, by which time she was already making a name for herself as a writer of children’s stories. It was not long before she met Raymond Brooke-Little, whom she married in 1925, having left the “A.P.” However, she did not give up writing. Once every week Jummy the Baby Elephant did his best to divert the juvenile readers of the London evening paper, The Star. Tiger Tim’s Weekly and many another children’s paper and Christmas annual published her stories and serials. Epaminondas, the little black boy who made stupid mistakes, made his debut. Soon he was a Children’s Hour favourite on B.B.C. and his adventures were published by William Collins in a series of little books, illustrated by A.E. Kennedy. She wrote other books about Scrubby the Bear, Rustie, Josie and Erasmus and only gave up writing when her train of thought was interrupted by Hitler’s bombs. After the war, she and her husband ( Mr Ray Brooke-Little) settled in a tiny cottage in the little Wiltshire village of East Knoyle. All would have been peaceful if their son John had not started The Heraldry Society and wanted to publish a quarterly magazine, The Coat of Arms. Who was to edit it? Well, you cannot retire from being a journalist; it is a love-hate vocation which never really leaves you. Mrs Brooke-Little became Miss Egan again, she took up her em-rule, pen, scissors and glue, tried to remember that bourgeois had become 9 point and settled down to editing again. Although she did not have the millions, nor minions supplied by Northcliffe and although the local printer’s founts of type were strictly limited, she was soon sensing the old magic. Each issue was an improvement on the one before, more money was available, new printers were employed and The Coat of Arms became a near-professional publication. As The Heraldry Society was growing yearly, “Miss Egan” also took that under her wing and became Honorary Secretary. For almost fifteen years, she edited, distributed and secretaried. But she was no ordinary secretary. She could never, for instance, just thank a member for a subscription but had to ask after his children and tell him about her zinnias. So there grew up and blossomed that intimate family feeling which became a prized characteristic of The Heraldry Society. The simple truth of the matter is that if the Society had not been adopted by Miss Egan, it would long ago have joined the spectral ranks of worthy failures. After her husband’s death in 1961, Miss Egan, and a fortiori the Society, moved to London, but the work began to prove too much for her and so she retired, first from being Secretary and then sadly from editing The Coat of Arms. Illness and failing memory overtook her, and the last four years of her life were spent in St. Andrew’s Hospital, Northampton, where she received loving and expert care, always appearing cheerful and contented. She died peacefully on the last day of December 1975 a few days after her eighty-fifth birthday, having received the last sacraments, for she was a devout Roman Catholic. The men of her family served the solemn requiem mass, sung in the old Roman rite which she loved, and then laid her to rest in the village churchyard at Lower Heyford within sight of the family home. The Society was officially represented at the funeral, by her old friend Mr. Noel Hatcher. It is a privilege to be asked to contribute a memoir of Constance Egan; and in so doing I am happy to affirm that it was even more of a privilege to have known her over a period of years when she was in full flower, at a time of her life when it might be expected that it would be more appropriate for her to be less busy than in her earlier days in journalism. “Connie”, as she permitted me to call her was in her early sixties when we first met – I do not think that we were properly introduced! Such was the whirl of activity that surrounded her at those early Heraldry Society occasions, in moving from one to another devotee and encouraging us all to help and assist John in the bringing up of his new infant, the Heraldry Society as it emerged from the Society of Heraldic Antiquaries. It was several meetings later that I learned that Connie really was John’s mother — somehow we had never got round to talking immediate genealogy, it was all to do with the Society and the Magazine, and even personalities and the oddities of us all in the heraldic world. She was, like many of small stature, energetic and enthusiastic, and despite the rush of conversation, sometimes light, occasionally serious, which we enjoyed, through all could be discerned great experience and knowledge of a most practical kind of the printing and publishing world which she was bringing to “The Coat of Arms” which had the temerity of being amateur in concept but professional in the way in which, from the beginning, it attracted its readership. It was really much later as my own experiences of the problems of editing and publication of a magazine had widened that I appreciated properly how skilfully Connie had brought this about. I recall her best, as a bird-like person, if I may say so, moving, even hopping about in conversation and exciting activity with everyone she encountered, a brightly coloured scarf about her neck, bestirred by the same quickness as its owner. Both caught the attention; which Connie then retained, by her brightness and kindness and promotion of the cause which she had adopted — I, in common with many early members of the Society, will never forget her. HG March 1976. Mark Anthony Lawrence Elvins was born in Whitstable in Kent on 26th November 1939 and was educated at Dover College, St Stephen’s House in Oxford, the Pontifical Beda College in Rome, and Heythrop College in London. He held a Diploma in Spirituality from Milltown Institute in Dublin. He was received into the Catholic Church in 1968, ordained priest at Arundel on Easter Sunday 1973, and was assistant curate at Arundel Cathedral and Chantry priest to the Duke of Norfolk from 1973 to 1979. From 1980 to 1990 he served at Saint Mary Magdalene’s parish church in Brighton, additionally holding the post of Chaplain to the Master of the Worshipful Company of Scriveners of the City of London. From 1990 to 1993 he was parish priest at Henfield. He entered the British Province of the Capuchin Order as a priest, and received the Capuchin habit on 7th September 1995. He made temporary profession on 8th September 1996 and was perpetually professed on 18th September, 1999. From September 2005 until September 2007 he was in Preston as Roman Catholic Chaplain to the University of Central Lancashire. He was a member of the Provincial Council from 2005 to 2011. In 2007 he became the last Warden of Greyfriars Hall in the University of Oxford until its closure in 2008. He was Guardian of the Oxford Fraternity from 2008 to 2011. Brother Mark had a long involvement in caring for the sick and the poor. He founded Simon House for the Homeless in Oxford (1967), the St Thomas Fund for the Homeless in Brighton (1982), Becket Homes for the Homeless in Canterbury (1997), and the Regina Palestinae charity for poor Palestinians (2010), and was a co-founder of the Thomas More Legal Centre (2007). He has been chaplain to the Order of Malta since 1981. In 1982 he was appointed an Ecclesiastical Knight of Grace of the Sacred Military Constantinian Order of Saint George and chaplain and council member of the British and Irish Delegation of the Order. In 2003 the Order awarded him the Gold Bene Merenti Medal. He was also a Chaplain of Magistral Grace of the Sovereign Military Hospitaller Order of St John of Jerusalem, of Rhodes and of Malta. In 2007 he led a wreath laying ceremony in honour of Henry Benedict Stuart at the Royal Hospital, Chelsea. 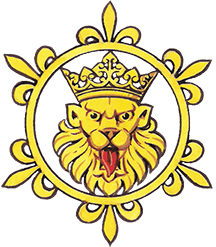 Mark was a member of the Heraldry Society and the White Lion Society. A Heraldry Soicety lecture bears his name because of a generous benefaction which he made to the Society when he became a Capuchin and took a vow of poverty. He would often say, with reference to the three knots on the belt of his brown habit, that they represented poverty, chastity and obedience, or “wine, women and song”. was born on the 15th December 1930. He was the eldest son of Edward Harry George. Educated at Ampleforth, John served for a short period as an officer in the Territorial Army with the Hertfordshire Yeomanry element of the Royal Artillery reaching the rank of Lieutenant. For most of his working life he was a herald and genealogist. He worked as a research assistant at the College of Arms between the years 1963-72 within the practices of both Sir Anthony Wagner when Garter King of Arms and Sir Conrad Swan who at the time was York Herald. During this time, he served as the Earl Marshal’s liaison officer with the Churchill family in relation to the State Funeral of Sir Winston Churchill in 1965. Some four years later, he served as one of the Green Staff Officers at the Investiture of HRH The Prince of Wales at Carnarvon Castle in 1969. After leaving the College in 1972, he was eventually appointed by the Countess of Mar to be her private officer of arms as Garioch Pursuivant. Having held this post for a decade, John was appointed as Kintyre Pursuivant of Arms at the Court of the Lord Lyon, serving in this office for fourteen years until he retired as an officer of arms in ordinary after which, in 2001, he was appointed as Linlithgow Pursuivant Extraordinary, finally retiring as one of Her Majesty’s Officers of Arms in Scotland in 2005. He served as a member of the Councils of The Heraldry Society (1976-84), The Heraldry Society of Scotland (1986-89) and The Ampleforth Society (1990-93). John was the co-designer of the Crown Agents issue of the Royal Wedding Stamp in 1981 and being a former contestant in BBC television’s Mastermind was the vice president of the BBC Mastermind Club between the years 1979-81. Amongst the many honours he accrued were: Colonel and Honorary ADC to the Governor of the State of Kentucky USA 1991; Genealogist for Scotland for British Association of the Order of Malta 1995-2002; FSA Scot 1975-96, FHS 1983; Freedom of Loudon in the State of Virginia USA 1968; Knight in Obedience SMOM 1975 (director of ceremonies British Assoc. 1976-80), Knight of Grace and Devotion 1971, Knight of Grace of the Constantinian Order of St George (Naples) 1982, Commander of Order Pro Merito Melitensi 1983 (Offr 1980), Knight of the Order of Saint Gregory 2002. He was married to Margaret, a member of the Weld family of Lulworth Castle in Dorset and quondam Secretary of the Heraldry Society to whom we send our heartfelt condolences at this sad time. ARCHBISHOP BRUNO HEIM, 1911-2003, FHS. was a world authority on ecclesiastical heraldry, and designed coats of arms for four popes and thousands of Catholic organisations and individuals. He was born in 1911 at Olten in Switzerland, educated by the Benedictines and ordained in 1938. He became a lifelong friend and admirer of the future Pope John XXIII – who asked that the lion on his arms be redrawn smiling, rather than looking so fierce. Heim’s book Heraldry in The Catholic Church, which was translated into five languages, has become a standard reference work. He had learned at 16 how to paint heraldry in the plain and vigorous style popular in Switzerland. In 1978 he was asked to design the arms for Pope John Paul I, who shared his passion for heraldry, and who asked him to produce commemorative coats of arms for both Paul VI and John XXIII. But when he sent the present Pope John Paul II a suggestion for arms, Karol Wojtyla informed him that he wished to retain the arms he had borne in Krakow. These included the letter M – a reference to Wojtyla’s devotion to the Virgin Mary. Heim did not take himself too seriously. In his Liber Amicorum, a guest book in which he painted the coats of arms of his friends, he would invent jokey heraldic emblems for the non-armigerous. Usually they would sign their names on a picture of arms belonging to a guest at a dinner they attended. Heim would add an emblem next to the signature: for Harold Wilson, he drew a pipe; for Margaret Thatcher, he sketched a kitchen mop cut in two by a sword. The book was published in 1981 to celebrate his 70th birthday. Among others, it contained the arms of the late Queen Elizabeth the Queen Mother, Lord Mountbatten, Lord Carrington, Archbishop Ramsey of Canterbury and Archduke Otto Von Habsburg. A council member of the International Heraldic Academy (though he though British heraldry too stiff and rectilinear), Archbishop Heim was also a patron of Cambridge University Heraldic and Genealogical Society. He held the title of the Grand Cross of the Orders of Malta, the Finnish Lion, St Maurice and St Lazarus, and the Republic of Egypt. He was a Bailiff Grand Cross and Grand Prior of the Constantinian Order of St George, Grand Officer of the Order of the Holy Sepulchre and a sub-prelate of the Order of St John. He was an Officer of the Légion D’Honneur, and had been made a member of various orders of merit of Germany, Italy and Austria. On his retirement from the papal diplomatic service in 1985, he returned to his native Switzerland, where it took him more than ten years to complete his last heraldic work, Or and Argent. The book was originally planned for publication in 1983, but finally appeared in 1994. In 2001, on his 90th birthday, he said his greatest wish was to be the heraldic designer for John Paul II’s successor. Born March 5 1911, died March 18 2003, aged 92. He will be greatly missed in the world of Heraldry and beyond. HG June 2003. A much respected member, Cedric Holyoake LHG, FSA, FSA(Scot), FHS, died on the 4th September 1996 aged 82. Cedric was a founder member of the Society, having joined in 1947, and was well known as a medieval scholar. Before retirement Cedric Holyoake MIMechE, MIEE, MIMarE, was a professional engineer specialising as a consultant in the design of power stations. He served during World War II with the Royal Navy as a Lieut. Cdr serving in HM ships on many waters. Cedric was an Examiner and Chairman of the Board of Examiners of the Society for many years and was made a Fellow of the Society in 1978. He prepared an extensive card index precis, in English, of articles in foreign journals. With his friend Peter Falcon-Uff, he was a regular delegate at the English and International Congresses. In 1976, for the XIIIth International Congress of Genealogical and Heraldic Sciences in London, Cedric produced the book ‘Heraldic Notes on the Issue of Postage Stamps’, and collaborated with Clara Lamb and Robert Collins in writing ‘English Heraldic Embroidery at the Victoria & Albert Museum’, the profits from which were donated to the Society. Mrs Holyoake died some thirty or so years ago, there were no children. Cedric will be sadly missed HG Dec 1996. CHARLES HENRY HUNTER BLAIR, FSA,FHS. Charles,who died in his 99th year in 1962, was a legend. Any man of that age is somewhat of a legend, but usually as an historical curiosity rather than as a man who has worked all his long life, driving his academic pen right up to the end. Dr. Hunter Blair was managing director of Dixon, Blair and Co., until two years ago, a firm in which he had worked for 79 years. But although he was a famous figure in the business world of Newcastle, readers of this obituary will know him best as the great archaeologist, antiquary and armorist of the North. For well over thirty years he edited Archaeologia Aeliana, wrote extensively on the subjects dear to his heart and was rewarded by the distinction of being made Hon. M.A. (1920) and Hon, D. Litt. (1940) of Durham University and being elected a Fellow of the Society of Antiquaries in 1910. It is pleasant to recall that the last scholarly reward he received, that of being elected a Fellow of The Heraldry Society, still gave Dr. Hunter Blair great pleasure, which clearly testified, if testimony were needed, to the youth of his heart. His frequent contributions to our publications will be sadly missed, as will the fruits of his labours in many other fields of activity. HG July 1962. Louda was considered as one of the leading designers of coats of arms in the Czech Republic and the former Czechoslovakia. He designed the current coat of arms of the Czech Republic, adopted in 1992, which incorporates the displays of the three historic Czech lands. He also designed the Standard of the President of the Czech Republic and created the coat of arms of the Olomouc Region as well as municipal arms for more than 200 towns and cities throughout the Czech Republic. Louda was born on 3 October 1920 in Kutná Hora, Czechoslovakia. During the Second World War he was commissioned in the Army and saw active service in Poland and France before working his way to the United Kingdom. During parachute training in the UK he broke a knee, and during recuperation worked on a radio station. The end of the war saw him decorated with both the Czechoslovak War Cross and Military Medal of Merit, and he returned home in the rank of Captain to what should have been a promising military career. However, his opposition to the Soviet takeover of his homeland in 1948 saw him dismissed from the Army and imprisoned without trial. On his release he was forced to work in forestry. During this difficult time he met fellow heraldist Karel Schwarzenberg who taught him the structure and disciplines of Czech heraldry. HUGH STANFORD LONDON, NORFOLK HERALD EXTRAORDINARY, FSA,FHS. ARTHUR W. B. MESSENGER, FSA,FHS. The Society has suffered a great loss in the death of one of its oldest and most enthusiastic members and Fellows, Paymaster-Commander A. W. B. Messenger of Bideford, in his 91st year. After many years in varied service with the Royal Navy, Arthur Messenger settled in his beloved Devon at Bideford, where he pursued many activities and interests with a vigour that stimulated all who knew him, and which remained with him, intellectually at least, almost until his death. His great love was heraldry — “pure and simple” as he called it in one of his booklets. Both design and language fascinated him, and he was a fervent disciple of Oswald Barron and the “simpler blazon”. His sense of design was accentuated by his great knowledge of architecture, particularly that of Spain: Mrs. Messenger is of a notable Spanish family and her husband made a special study of Galician heraldry and architecture. Arthur was what might be called “the compleat antiquary”. Archaeology, local history and genealogy (particularly that of the West Country), ecclesiastical architecture and history (especially that of Canterbury and Rochester), were all fields in which he excelled, as his many studies and contributions to learned Journals and Transactions testify no less than his Fellowships of the Heraldry Society and the Society of Antiquaries. Enthusiastic without eccentricity, courteous, kindly and helpful, Arthur Messenger will be remembered with gratitude and affection wherever two or three armorists or antiquarians are gathered together. Council was deeply saddened to learn of the death of Marian Miles on Friday 4th August 2006. Marian had been ill for some time. Her contribution to the Society had been great over many decades and she will be greatly missed. Appreciations by two of the Society’s Vice-Presidents are reproduced below. From David Hubber JP HonFHS:For many years two people were the “public face” of the Heraldry Society. One was, of course, our late founder, John Brooke-Little; the other was Marian Miles. I knew of Marian and her work in the same way that most members did, but it was not until I was elected to the Council of the Society that I began to realise just how much time and effort she put into the job of Secretary. Marian’s dedication to heraldry in general and the Society in particular was second to none. She was a tireless promoter of our cause and never felt confined by the strict terms of any job description -often going to greater lengths than most of us to help members and non-members alike, in answering queries and enhancing their knowledge. When I became Deputy Chairman and later Chairman of Council, I worked even more closely with Marian. This was during an especially difficult time for the Society – when we had to leave our Museum Street premises and the Secretary continued to work, but from her own home. Marian took on the extra burden willingly (and for even less financial reward for a long period). We didn’t always see eye-to-eye – possibly due in part to her Danish heritage and my Swedish! However, we never fell out and always managed to agree on solutions to problems, often after spirited discussion. Marian was always keen to spread the heraldic word into schools and to encourage young people to become interested and more knowledgeable about the subject. It is unfortunate that hers was an uphill struggle, because her enthusiasm was not shared by many in the teaching world. It was typical of her that Marian continued to attend as many events as possible until almost the end of her life – many of us were happy to see her at the Anniversary Lunch in February. She will be much missed by her colleagues and friends in the Chiltern and Middlesex groups, as well as the heraldic community as a whole. From Cecil R.J. Humphery-Smith OBE FSA FHS: Having attended the first meeting of The Society of Heraldic Antiquaries as The Heraldry Society was first somewhat pretentiously named, and then serving on Council for more than half a century, I have known Secretaries come and go. I have tried to welcome, help, encourage and support them all. Miss Connie Egan, John Brooke-Little’s dear Mother was a real gem not to be surpassed in devotion to the cause of the Society and as editor of The Coat of Arms. It looked as though another such would never be found, and the Society soldiered on through increasing difficulties. Then an angel arrived and transformed it. We shall ever be grateful to Marian Miles for her enthusiasm, common sense and devotion. She was tremendously good company on several International Congresses and threw herself into organising and ensuring that the Society would continue to flourish. In our last telephone conversation she was looking forward to meeting in St Andrews. Surely she will be there in spirit. George Squibb, who died on January 3rd 1994 aged 87 was Norfolk Herald Extraordinary, the Earl Marshal’s Lieutenant, Assessor and Surrogate in the Court of Chivalry. These appointments, which he held until he died, gave him great satisfaction. He was born on the 1st December 1906 at Chester, and his father was a remote kinsman of Arthur Squibb, Clarenceux 1646-51, and of William Oldys, Norroy 1755-61. He was educated at King’s School, Chester, and Queen’s College, Oxford, taking both a BA and BCL. He was called to the Bar by Inner Temple in 1930 and successively became a Bencher, Reader and in 1976, Treasurer of his Inn. Squibb made his living by taking on dull but profitable briefs, many concerned Town and County Planning, an approach which in middle age enabled him to pay more attention to his main interests, the Court of Chivalry, and heraldry. The first time he was seen to be married to his two interests was when he was the plaintiffs counsel in the test case, which came before the Court of Chivalry in 1954. This was the case of Manchester Corporation v Manchester Palace of Varieties Ltd. On this occasion the Earl Marshal’s Surrogate (to which office Squibb himself was appointed in 1976) was Lord Chief Justice Goddard. It was the first case brought before the court since 1737, and therefore it had to be established that the court existed, could exercise jurisdiction, and impose penalties. This Squibb did to the satisfaction of the Surrogate, and as was expected, the case was determined in favour of the plaintiffs. George lived in Dorset, was a Liveryman and past-master of the Scriveners Company; a vice-president of The Heraldry Society, and was for many years a member of its Council. He edited many manuscripts referring to the Court of Chivalry and to heraldry and genealogy, most of which were published by the Harleian Society. Married twice, both wives predeceasing him, he leaves a daughter by his first marriage. Peter Summers died peacefully in hospital on Wednesday 19th October 1994. He will always be remembered by those interested in heraldry for the ‘Hatchments in Britain’ series. He started the survey in 1952 and undertook the tracing, recording and identification of nearly 5000 hatchments around the British Isles. He co-ordinated the contributions of many people, but some counties were the results of his own efforts. The first volume was published in 1974, and the final volume appeared just weeks before his death. For this work, one of the major heraldic recording projects of this century, he was honoured with the Fellowship of the Heraldry Society in 1985. Heraldry was but one of his interests. Those seeing his name in print might assume that his election as a Fellow of the Society of Antiquaries was again for the work on Hatchments. In fact he became FSA in 1953, principally for his enthusiasm for prehistory. As a young man he discovered one of the largest Mesolithic sites in Dorset. His other antiquarian interests included the life of William Beckford, armorial china and bookplates. He was a past president of the Bookplate Society. His greatest gift is perhaps the least known; that of someone who cared for his fellow man. For many years he channelled time, energy and resources into the education and welfare of hundreds of Tibetan children through the Ockenden Venture. He corresponded monthly with every child he sponsored, at one stage writing over forty letters each month. He established a charitable trust which paid for the building of a hospital in India which bears his name on the foundation stone. Ellis was born at Northwich in Cheshire and as a boy moved to the neighbouring county of Lancashire, where he was to spend the rest of his life. He liked to describe himself as a “Welsh-Cestrian”. He gained a degree in French from the University of Manchester and taught French for most of his life, but teaching apart Ellis life was dominated by two passions – Blackpool FC and supra omnia – heraldry. He was an early Fellow of The Heraldry Society, and in 1985 was awarded a PhD from the University of Lancaster for his thesis French Historical Elements in the Civic Heraldry of the United Kingdom. There can be few, if any, areas of civic, academic and other corporate heraldry that did not benefit from Ellis’ subtle and intelligent touch. His heraldic work began in the 1940s and he was instrumental in the design of arms for many organisations including The Independent Broadcasting Authority, The British Airports Authority, Herefordshire County Council, the towns of Port Elizabeth in South Africa and Wagga Wagga in Australia; The Northern School of Music, universities in this country and overseas and many building societies, and a number of boroughs. Looking through back numbers of The Gazette the Editor located a piece in 1977 which recorded that Ashford Borough Council had commissioned Ellis to design an achievement. The Grant of Arms was formally presented by the Lord Lieutenant of Kent, Viscount Astor of Hever to the Mayor of Ashford. On their arrival at at the presentation the dignitaries were greeted by a fanfare of buglers of the 1st Battalion, The Royal Greenjackets. The presentation ceremony was watched by a packed audience of Ashford citizens and representatives of the Borough. An opening prayer from the Reverend Canon A.K.W. Wright was followed by an address of welcome and after an address of welcome Mr Tomlinson described the Letters Patent and explained his design. The Leader of the Council then invited the Lord Lieutenant to present the Grant of Arms to the Mayor for safe keeping and this was followed by a vote of thanks from the Mayor. The ceremony was concluded with a fanfare. SIR ANTHONY WAGNER, KCB, KCVO, D Litt, FSA. With regret we have to report the death, on the 5th. May 1995, of Sir Anthony Wagner, Clarenceux King of Arms, at the age of 86. Born in September 1908, Sir Anthony was educated at Eton and Balliol College, Oxford. He became Portcullis Pursuivant of Arms in 1931 and Richmond Herald of Arms in 1943. He was Registrar of the College of Arms from 1953 to 1960, and Secretary of the Order of the Garter from 1952 to 1961. Sir Anthony was appointed Garter, Principal King of Arms on the 6th July 1961, relinquishing the post for that of Clarenceux King of Arms in 1978, a post which he retained for life. During the war years 1939 to 1946 Sir Anthony served in the War Office, and later in the Ministry of Town and Country Planning. He was Genealogist of the Order of the Bath 1961-72, and of the Order of St. John 1961-75; Inspector of Regimental Colours 1961-1977, and joint Registrar of the Court of Chivalry since 1954. A herald for well over 60 years, having become Portcullis when he was only 22, he was a prolific and influential writer, acknowledged as the leading authority on heraldry and matters of academic genealogy. He not only popularised these subjects, but also promoted them as serious tools for the study of our past history and make-up of our present day society. He was responsible for the founding of the Herald’s Museum at the Tower of London (sadly no longer there), and he was actively interested in conservation, and historic, particularly buildings. While still Portcullis Pursuivant, Sir Anthony led the Coronation Procession of King George VI in Westminster Abbey. As Garter King of Arms he was in charge of the State Funeral of Sir Winston Churchill, and the Caernarvon Investiture of the Prince of Wales. One of his most important innovations at the College was to establish the College of Arms Trust, an independent charitable foundation to establish a museum of heraldry, and to hold funds for the maintenance and repairs of the College’s seventeenth century building in Queen Victoria Street. In 1983, after a serious illness, Sir Anthony went blind, but thanks to the clarity of his memory and his facility in dictating, he found it possible to carry on working, writing articles and books, and continuing his practice as Clarenceux King of Arms. He married in 1952, Gillian Graham, daughter of Major H.A.R. Graham; they had a daughter and two sons.